Posted on June 14, 2015. Bookmark the permalink. 1 Comment. 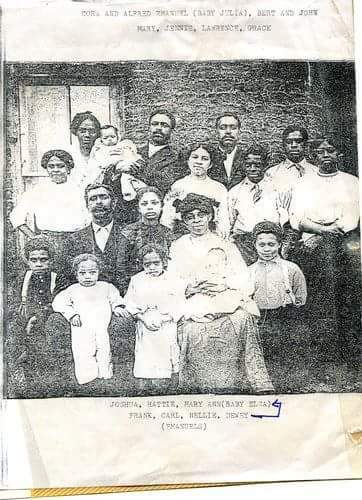 My Great, Great Grand parents Joshua & Mary Ann Emanuel – With their 13 Children and daughter in law Cora!